Creatine increases physical performance in successive bursts of short-term, high-intensity exercise1 making this the perfect supplement to boost your training and help you reach fitness goals. Creapure® is widely known to be the purest and finest level of micronised creatine monohydrate available on the sports nutrition market — it undergoes rigorous testing to make sure it’s free from impurities, and the result is a 99.99% creatine content. Choose from six fruity flavours, Berry Blast, Blue Raspberry, Lemon & Lime, Tropical, Orange or Watermelon, and give your workout a real edge. When to take Creapure® Creatine? Immediately pre- or post-workout — just mix 3g of your favourite flavour with a protein shake, which supports the growth and maintenance of muscle,2 or simply add to water, milk or juice. What does Creapure® Creatine work well with? Creapure® Creatine will give your training a boost,1 but to help your body grow and maintain important muscle after all the hard work you put in,2 mix up a shake of our Total Protein Blend and unlock the power of seven different types of protein. Berry Blast: Creapure® (Creatine Monohydrate), Flavouring, Citric Acid, colorings (Beetroot Red & Anthocyanin), Sweetener (Sucralose®). 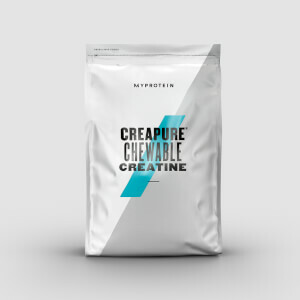 Tropical: Creapure®Creatine Monohydrate (87%), Flavouring (Acidity Regulator (Citric Acid), Flavouring, Sweetener (Sucralose), Sunflower Oil, Colour (Beta Carotene). Lemon & Lime: Creatine Monohydrate (Creapure®) (90%), Natural Flavouring, Sweeteners (Sucralose, Acesulfame Potassium), Colours (Tartrazine, Brilliant Blue FCF). Warning: Tartrazine may have an adverse effect on activity and attention in children. Blue Raspberry: Creatine Monohydrate (Creapure®) (90%), Flavouring, Sweeteners (Sucralose, Acesulfame Potassium), Acid (Malic Acid), Colours (Sunset Yellow FCF, Brilliant Blue FCF). Warning: Sunset Yellow FCF may have an adverse effect on activity and attention in children. Orange: Creatine Monohydrate (Creapure®) (90%), Natural Flavouring, Sweeteners (Sucralose, Acesulfame Potassium), Colour (Sunset Yellow FCF). Watermelon: Creatine Monohydrate (Creapure®) (90%), Flavouring, Sweeteners (Sucralose, Acesulfame Potassium), Colour (Allura Red AC). Warning: Allura Red AC may have an adverse effect on activity and attention in children. Disappointed. I usually buy unflavoured products but thought lemon/lime would be a refreshing change. The product itself is ok (although residue is left at bottom of glass after mixing) but there is too much sweetener and colour added. It tastes chemically and has so much colour that my glass looked like Kermit the frog, lol. For a company that sells products to sports and fitness enthusiasts whom are careful what they put in their bodies it surprises me that colour is added at all; especially when on the back of the pack there is a health warning about one of the colours! Really!? Then why add it! We are not kids anymore and don't need our drinks to have neon bright colours to them so why not have them colour free and therefore better for us. I hope someone reads this and decides to make that change. I take 2 scoops every morning and mix with My Protein diet whey. On weight training days i take two scoops in the morning as usual and after my work out, two scoops and my diet whey together. I have a noticed a difference in my strength and have started to lift heavier weights. The gains are showing and other people are noticing. I also purchased My protein caffeine tablets at the same time in the hope that they would keep me alert and awake and give me the inspiration to do my workout after a long hard day at work. As a combination it seems seems to be working well. Do yourself a favour, and go with unflavoured. Went with the Blue Rasberry, now I have to shoot the drink as it's so horrible. It's so unbelievably sweet and i can't believe I have 500g of this to go through now. To reduce the sweetness I literally have to mix it with about 2.5 litres of water. It doesn't even mix well with anything. Such a terrible terrible decision. Apart from that, the benefits are good, and standard like any creatine. Go with the unflavoured, been using this a few years now with good results, best way to take it is a small amount of water swill it around in the cup then down in one then repeat if any is left. 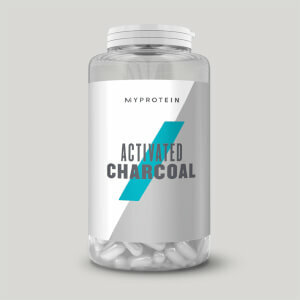 I have been using this product for 12 weeks now, I have 1 and a half scoops two times a day.I have noticed it has gave me big amounts of energy. It boosts you and I feel great, I have been able to squeeze in more reps and up my lifting weight. The creatine after about 6 weeks seems to fill your muscles more with water so your arms get bigger which may be a bad thing if you are on a low carb diet but it doesn't bother me. 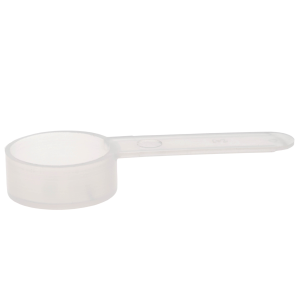 Overall this product is totally worth it I wouldn't go anywhere else to get this because it is the best on the market, the price is outstanding! Very effective, increase in lift, helps achieve extra reps before feeling tired within sets, unflavoured is completly tasteless and I consume it by taking a shot of it then washing down with water..... To get effectiveness a lot of water must be included in diet otherwise pointless. After 3 years of taking Creapure products, I still couldn't make my mind up if it worked or not. That was up until my last my last cycle, during which I managed to increase my flat bench by 2/3 full reps/set (which I consider a lot). After cycling off for 4 weeks, I've since lost 1/2 reps/set. I'm pretty consistent with my training and diet so can only really attribute the gain/loss to Creatine. Forget all the other gimmick supplements, all you need is protein and creatine (along with a good diet) and you'll get results. Tastes of nothing, so anything!